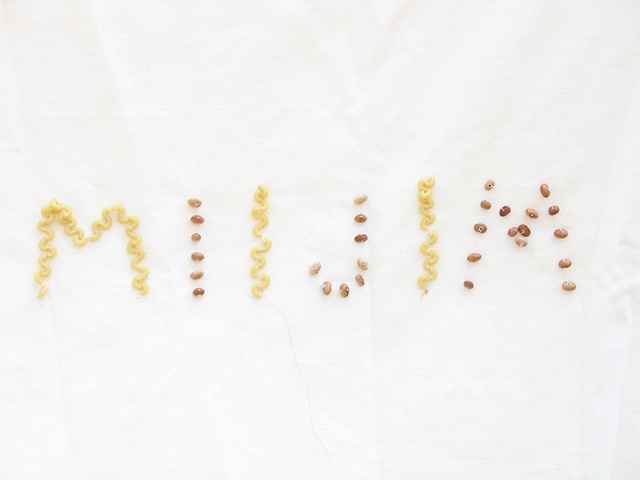 Bean beads and macaroni to spell the words food/miijim. The tent is a temporary dwelling but is also symbolic in the possession of a place. Using the word food on one side of the tent and the Ojibwe translation Miijim illustrates concepts of commodity foods and Indigenous foods.